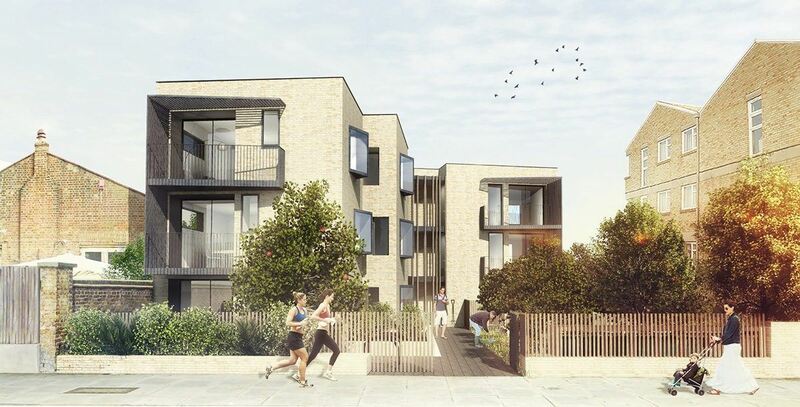 Our housing scheme acknowledges the wider Peabody Palmer Estate to create one shared community. 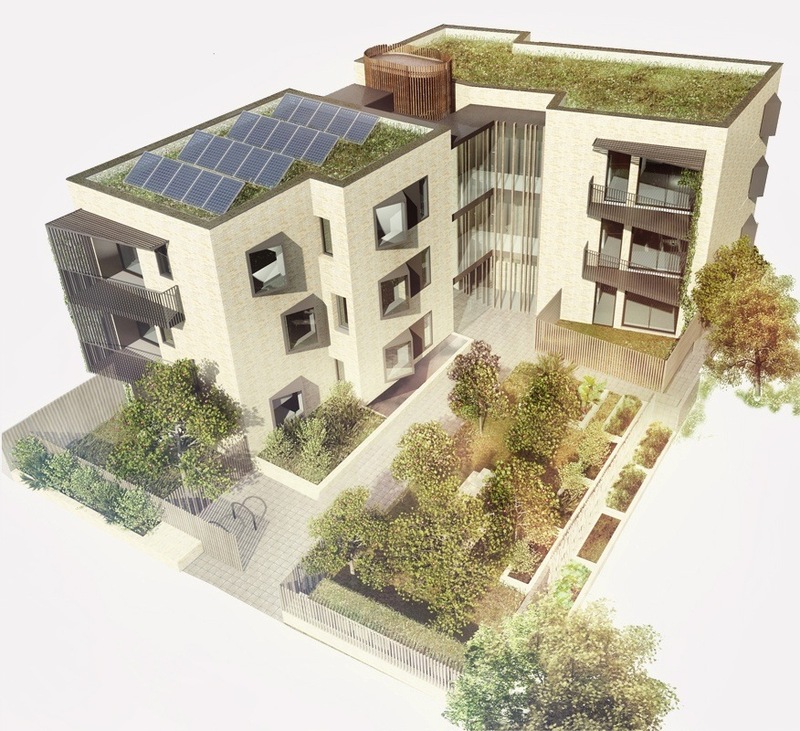 A network of common kitchen gardens and orchards interlock with the proposed housing block to create communal exterior spaces where residents can reflect, converse with friends and children can safely play. Enjoyment and a shared focus for the residents is created from the opportunity to tend the communal kitchen garden’s vegetables, herbs and fruits, for which residents can taste the rewards. In order to meet ‘Level 5’ of the Code for Sustainable Homes, gain an ‘excellent’ BREEAM rating and comply with London Housing Design Guide and Life Times Homes, we prosposed a number of sustainable measures which include the installation of heat pumps, photovoltaic panels, a biomass boiler, wild meadow green roof and a rainwater harvesting tank. We exceeded the accommodation brief and provided through access to Brookside Road. To reinforce this connection, we suggest that Brookside Road is changed into a home zone, providing easy access to the nearby playground and green spaces beyond.